ProDetec presents a range of certified beacons designed for use in potentially explosive gas and dust atmospheres as well as harsh environmental conditions. The EExd, weatherproof XB11 range of xenon beacons is housed in glass reinforced polyester enclosures for use in offshore or onshore applications where a lightweight construction combined with corrosion resistance is required. The beacon housing is manufactured completely from UV stable, glass reinforced polyester, and features stainless steel screws and mounting bracket to ensure a totally corrosion-free product. Units can be painted to customer specifications and are supplied with identification labels. 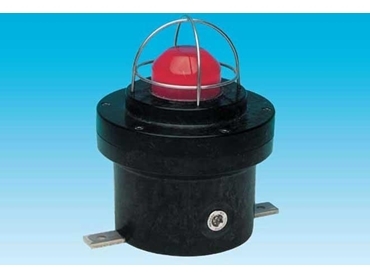 These beacons are also available with a sounder feature.